What’s one of the most critical pieces of gear for any EDC (everyday carry) setup? I’ll give you a hint: it’s one of the most varied choices you can make. Okay, I’ll give you another hint: it’s sharp and pokey. 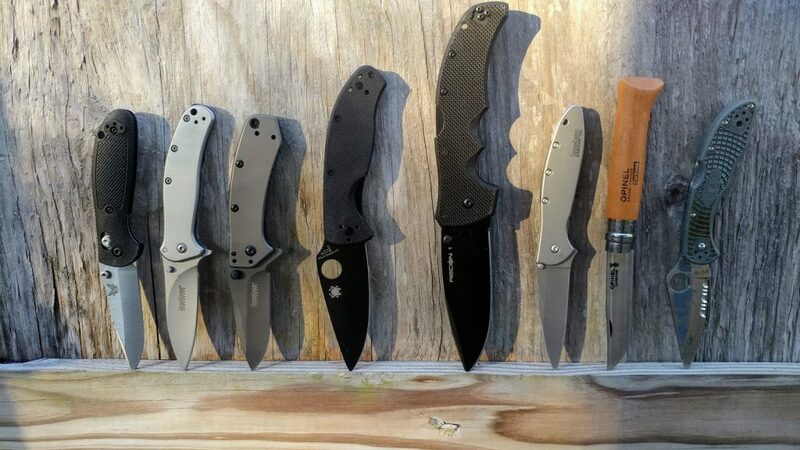 Here’s some of the EDC knives I looked at for this roundup. Why Is an EDC Pocket Knife So Necessary? Because they are just so dang useful. 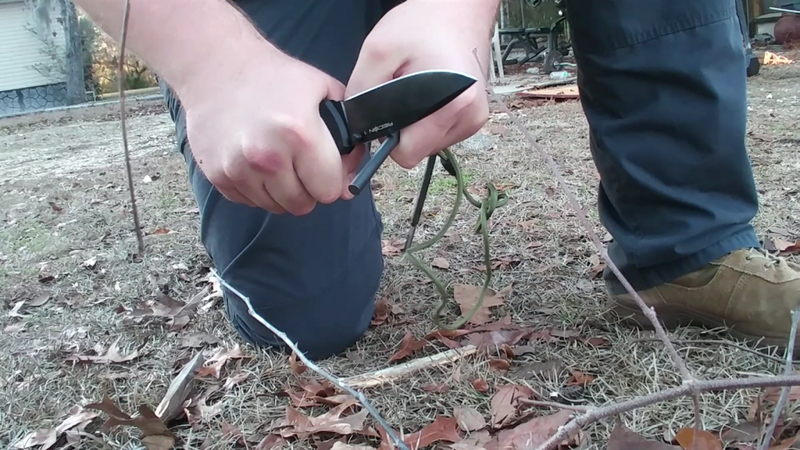 A pocket knife is an invaluable tool for both exciting and mundane situations. I personally don’t carry a pocket knife with the intent that it’s a weapon. The meanest thing any of my EDC knives slices and dices is clamshell packaging. I’ve worn a lot of hats. I’ve been a Marine, a repo man, a hunter, a student, and even worked retail for a short, terrible period of my life. In all of those positions, I needed and used a knife almost daily. Not having a knife is a lot like not having a spare tire. Or even worse, not having a flashlight. What’s the Best Knife for Everyday Carry? Haha, like I could possibly pick a single knife. As you can see, I had lots of options. The good news is you don’t have to just pick one, either. Outside of the knives Eric sent me, I own dozens of knives. Fixed blades, folding knives, automatics, and more. 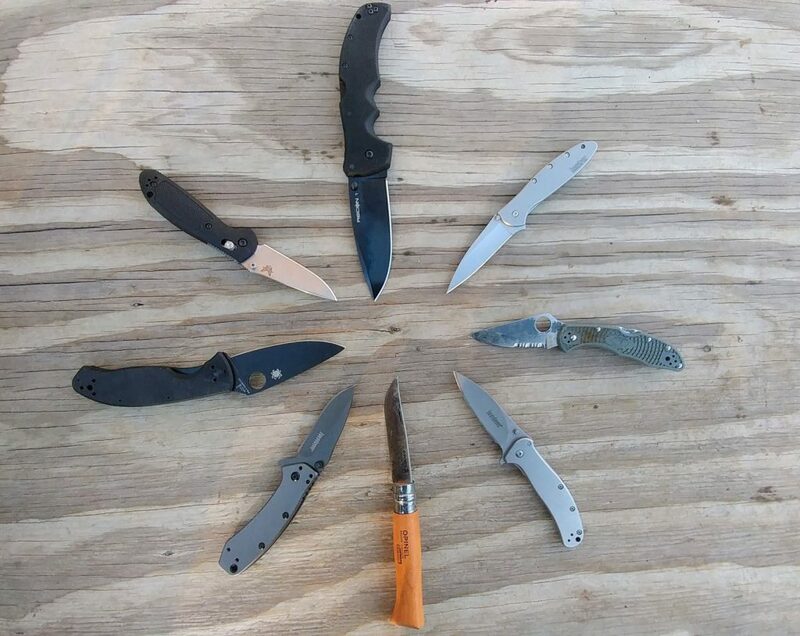 Choosing only one knife is like only shooting one caliber, drinking one type of beer, or watching only one tv show. Monogamy is for marriage, not for pocket knives. Also, we know knives get expensive, very expensive. So to keep things simple we’ve divided our knives into two categories. The best under $50 dollars, and the best under $100 dollars. And if price isn’t an issue there is always the carbon fiber Spyderco Gayle Bradley. 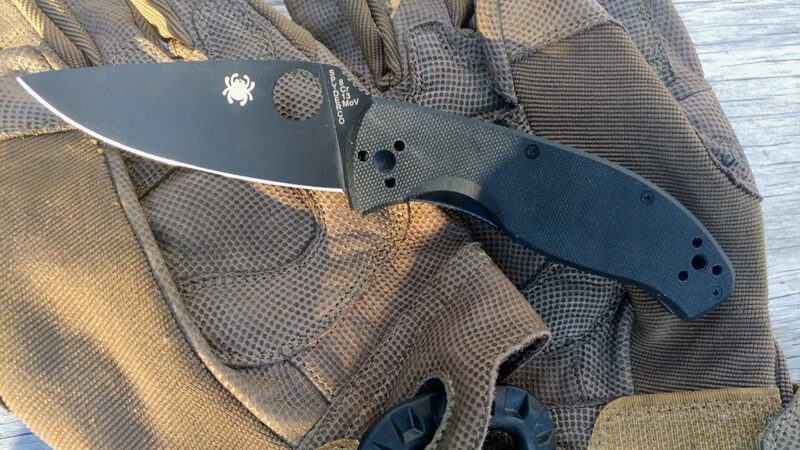 The Spyderco Delica 4 comes with a partially serrated blade. Serrated vs straight is going to be a battle fought till the end of time. It’s personal preference and there are disadvantages and advantages to both. Generally, a little serration on the blade is going to make the knife more versatile. It’ll cut through harder materials faster and with greater ease. The downside is they can be trickier to sharpen. Straight blades offer the user an easier to sharpen knife and a longer cutting blade. This makes deep slices easier to control. They tend to be poor at sawing through rougher materials though. 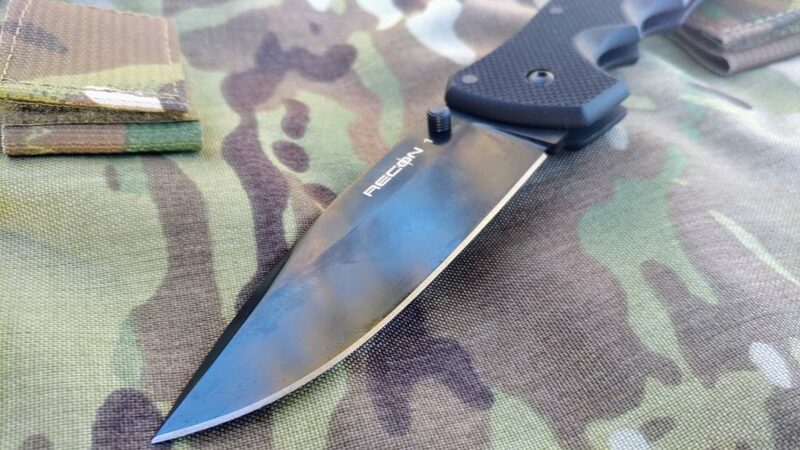 The Cold Steel Recon 1 comes with a straight blade. Knife steels are varied and best determined by what you want to do with the knife. This could be an article or several articles unto itself. We’ll detail each of our picks’ steel and briefly talk pros and cons of that steel. Point of Origin is all about who built the knife. Most junk won’t have an associated brand name. Brand name doesn’t mean everything, but in the knife world, it’s pretty important. The Kershaw Zing is an excellent little knife for those who are rough on gear, or just want a reliable, affordable pocket knife. The Kershaw Zing is a stainless steel knife with a 3 inch 8CR13MoV steel blade. This steel is a cheaper option and makes the Zing a great budget knife. As a steel, it’s not bad. It’s strong, holds an edge for a good amount of time, and is corrosion resistant. The Zing’s handle is a matte stainless steel and the knife uses a frame lock. The knife has an ambidextrous flipper on the back of the blade and is an assisted opening blade. The blade uses a drop point blade for simple cutting and slicing. When you stop to factor in the price of this knife, it really is an impressive blade. 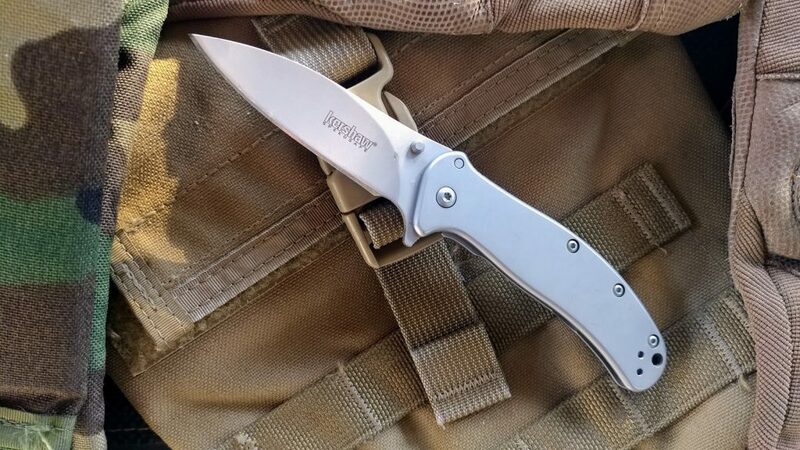 The first thing I noticed was how fast the blade flies out of the handle with just a little pressure on the rear flipper. The slim and sleek design makes it easy to carry and comfortable in the hands. It’s light at only 3.3 ounces and the steel is easy to sharpen. The grip has zero texture so it may be difficult to use with wet and sweaty hands or when wearing gloves. The blade can get sharp, but I never got that real razor’s edge to it. It’s sharp enough to deal with cutting and slicing, but don’t expect it to be so sharp it’s gives you that ‘gliding’ feeling. When put through cardboard it plows instead of glides. It’ll get through it, but won’t be pretty. I had to sharpen it once or twice a week when I was really getting down and dirty with the Zing. A more refined version of the Zing that’s sleeker, lighter, and more quality feeling. The Kershaw Leek sports a blade made from Sandvik 14C28N knife steel. This steel is commonly used with high-end chef’s knives. It’s hard, corrosion resistant and it’s easy to sharpen. It’s the kind of knife you sharpen maybe once a week or right before a lot of slicing. It didn’t take much before I started plowing more than cutting. Both serrated and straight blade options are available. The Leek uses a simple modified drop point for robust everyday use. This knife is super small and easy to carry. My XL mitts are a little big for the handle, but I was still charmed by this knife. I love the all stainless look. The grip is also not textured in any way so this isn’t a knife designed for super hard work. For normal EDC tasks, it’s perfect. It’s non-threatening and well suited if your dress is more professional. And at only 3 ounces it’s at home in the pocket or the purse. The blade dulls pretty fast, but its a light duty knife. Also, the rear of the blade has texturing for thumb placement, but my thumb slides way too easily across it for any decent stability for hard cuts. This knife does a much better job cutting through cardboard than the Zing. 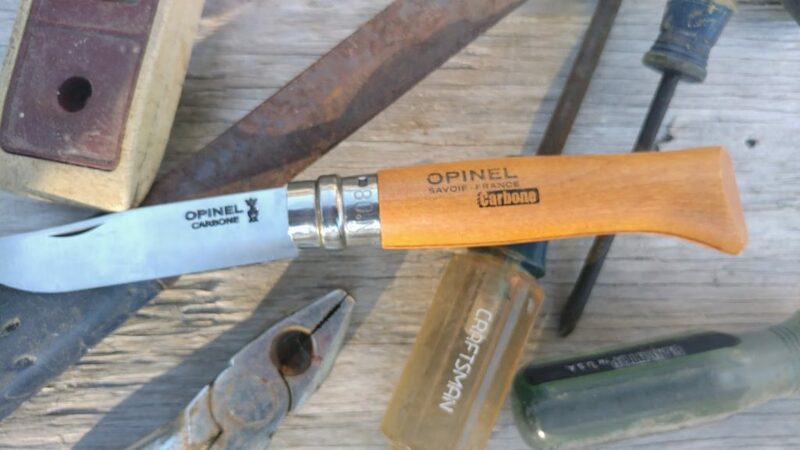 The Opinel #8 is an old design and of course, it shows. The wood handle thumb screw opening device and simplistic spinning lock are all old school. It is old school cool, though. The Opinel isn’t a high tech tactical knife, just a simple folding blade pocket knife. So why would you choose this knife over a higher-tech option? How classic is this thing though? Because the Opinel works. It’s incredibly light, the blade is sharp, and it’s affordable. Once you start cutting and slicing you see why the Opinel has been around since 1890. This thing flipping cuts. It slices and glides through paper, cardboard, paracord, and even chicken. It just keeps cutting. I didn’t think I could dull this thing. That being said I did sharpen it just to hone the blade a bit. The carbon steel was insanely easy to sharpen, less than 10 swipes had me back to a razor’s edge. The wood handle weighs about an ounce and its round shape is comfortable in the hand. Because it’s so wide the force is distributed equally through the hand. This helps mitigate hand fatigue when it comes to heavy work. In a lot of ways, this is my favorite knife, but that’s more due to the old school cool nature of the knife. It has issues. It’s slow to open, the blade will rust easily if you don’t pay attention, and there is no where for me to rest my thumb during rough cuts. Wood can react to oils, water, etc. The Kershaw Cryo is a collaboration between Rick Hinderer and Kershaw to produce something completely new. 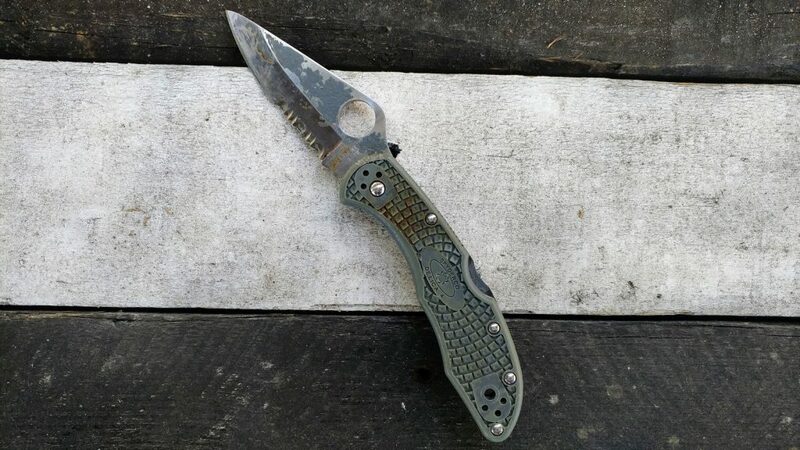 The end result was a small, compact knife with a 2.75-inch blade and overall length of 6.5 inches. The blade is made from 8CR13MoV, which we discussed a bit more above. It’s tough, holds an edge for a while, is corrosion resistant, and doesn’t get razor sharp. The Cryo and Cryo II are both excellent options for EDC knives. The Cryo is a confused knife. It’s short but heavy and wide. I’m not exactly sure what it’s supposed to be. I honestly don’t mind a heavy knife, but really don’t care for the super short grip on the Cryo. I will, however, admit that it’s textured well. Both the front and rear of the knife feature serrated portions for a sure grip. The blade has an ambi flipper, and the blade opens nicely. The handle is stainless and the offset screws and bolts are quite good looking. The entire knife looks good, but this is my least favorite knife on the list. This is another knife that plows more than cuts through harder materials. One of the biggest problems I have is the pocket clip. The screws they use aren’t flush fitting and catch and tear at the outside of my pockets. It’s especially tough with my work pants. The Spyderco Tenacious packs a 3.39-inch blade made of 8CR13MoV stainless steel. As you already know this steel is tough, easy to sharpen, and holds an edge well. The Tenacious weighs only 4.1 ounces and has an overall length of 7.76 inches. It features Spyderco’s thumb hole opening device and is available with a straight blade and serrated blade. It’s a Spyderco, so of course, it’s a great knife. The Tenacious is one of the more compact Spydercos, but it doesn’t hold anything back. The grip is great in my hands, and the G10 material is nicely textured. Like every Spyderco, it has a stylish appearance. The blade design allows for a long cutting edge that is efficient for the blade’s length. The thumb rest on the rear of the blade curves upwards. This design really allows you take control of the blade for fine cutting tasks. Slicing and dicing is easy, and it cuts through thick materials well with nothing more than a gentle rocking motion. The blade chews through cardboard, cloth, rope, and more without much challenge. The handle and blade design works well together, and its comfortable even after cutting for long periods of time. The thumb hole release is ambidextrous, and people either love it or hate it. Hard to get the blade razor sharp. In a crowd of EDC knives, this bad boy stands out due to its massive size. So you might need to have giant pockets. 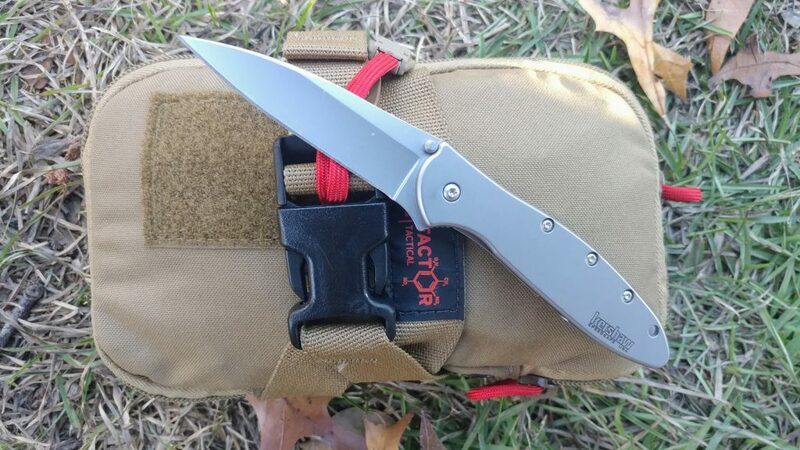 This is a tactical folding knife and isn’t for everyone. The massive grip fits my big hands perfectly. The grip is contoured for the hand, and the G10 materials are lightweight and textured for a good grip. What I was really disappointed in was the fact that Cold Steel didn’t seem to sharpen the blade very well prior to shipping it out. I took it through cardboard test and it absolutely failed. I knew Cold Steel was better than this, so I took the blade to a diamond sharpener. It took forever to really get this thing sharp, but once it was sharpened it went through the cardboard without too much issue. Cold Steel’s Recon 1 is great for starting fires. The blade is made from something called CTS-XHP, a steel I hadn’t heard of. Watching Cold Steel’s Youtube videos have convinced me it’s quite tough. Tough is what you need in a tactical knife. The flat spine is also nice for striking feros rods to start fires with. I received Eric’s well used EDC and could already see it took some major abuse before I got it. The Delica is a smaller Spyderco knife, and its 2.875-inch blade is perfect for states with silly 3-inch rules. The Delica 4’s grip actually fills my handle well. It’s a little thin, but its a compact knife so you make concessions. The grip is made from FRN or Fiberglass-Reinforced Nylon, a super tough polymer composite. Eric’s Delica has clearly been through the ringer, but it still works just fine. The Delica 4 chews through just about everything I tossed at it. I did give it a quick run through a sharpener and it shined up really nicely. The Delica 4 uses VG 10 steel, which is more common in kitchen knives. This steel is corrosion resistant, easy to sharpen, and gets nice and sharp pretty easily. Although it didn’t seem to hold that razor’s edge for long, sharpening it was easy enough. The Delica 4 is a handy, lightweight little knife. It feels great in the hand the upward swooping thumb rest is great for carving motions. The blade is a little on the short end for my tastes, but compact is compact. The Mini Griptilian puts the pocket in pocket knife. This is a small knife, but it acts like a much bigger knife. When slicing through cardboard the knife would actually get away from me and cut deeper than I intended. The blade is extremely sharp and never seemed to lose that sharp edge. Without a doubt, the 154 CM steel is to blame for this long-lasting edge. The Benchmade Mini Grip is a classic EDC choice. The lock has zero give to it. The blade doesn’t budge forward and rearward or left to right. 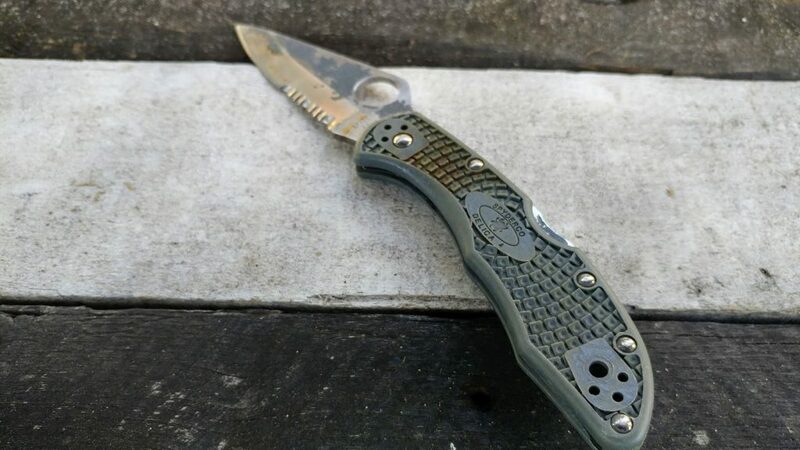 The Mini Griptilian uses an interesting opening device. There is a simple blade stud for pressing the blade upward, but that’s second string to the push to release lock system. Pull the sliding lock release downwards and flip your wrist and the blade comes flying out. You close the knife the same way. The knife can be opened and closed with a single hand. The back of the grip and back of the blade both have metal textured portions for controlling the knife via the thumb. This is a smaller knife than I prefer, but I can’t deny it’s a well built, well thought out, and intuitive knife. What’s your take on the Griptilian? 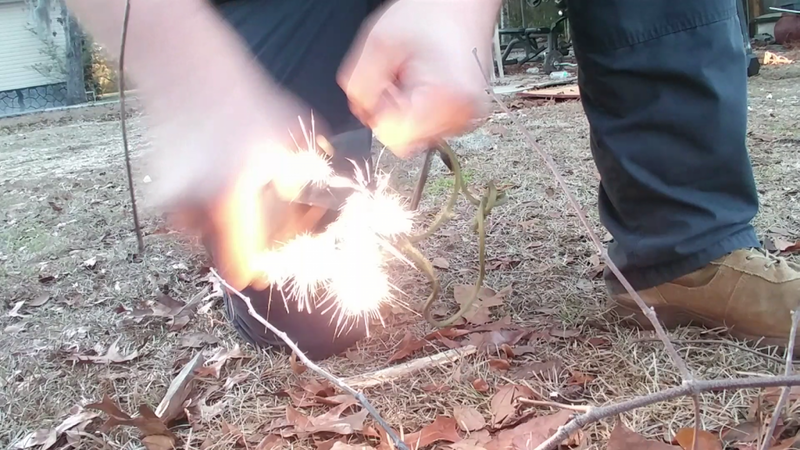 Man, I had some fun testing these pocket EDC knives. It’s not often you get a handful of knives and the ability to handle a variety of knives from a variety of companies. I learned quite a bit about knives, steel, and just how tired my hand gets after cutting stuff and carving all day. Hopefully, I’ve explained the 8 knives well, but if you have any questions ask below. I’m going off to rest my hands a bit. If you’re looking for fixed-blades…check out our 4 Best Survival Knives. 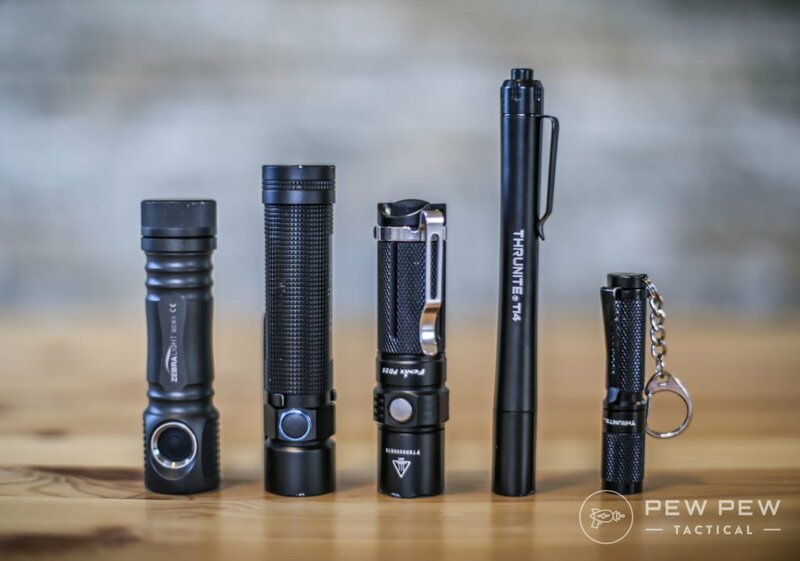 Or if you want to complete your EDC loadout…our Best EDC Flashlights will have you mastering the night. Kershaw Atmos. It’s even better than last year’s Fraxion. Better essential carry properties: similar sub-2oz weight, superior deep carry clip design, no extraneous studs to scratch items in your pocket. Better handling: Outstanding well-balanced Dmitry Sinkevich design, lightning quick assisted opening action, positive grip lines. And it’s also only about $30. Folders will fail, wear out and break. Do yourself a favor and get a fixed blade with full tang. I have had several thats on this list and they will not hold up to actual use day in and day out. Here are some I like, that won’t break you, and have done me very well! 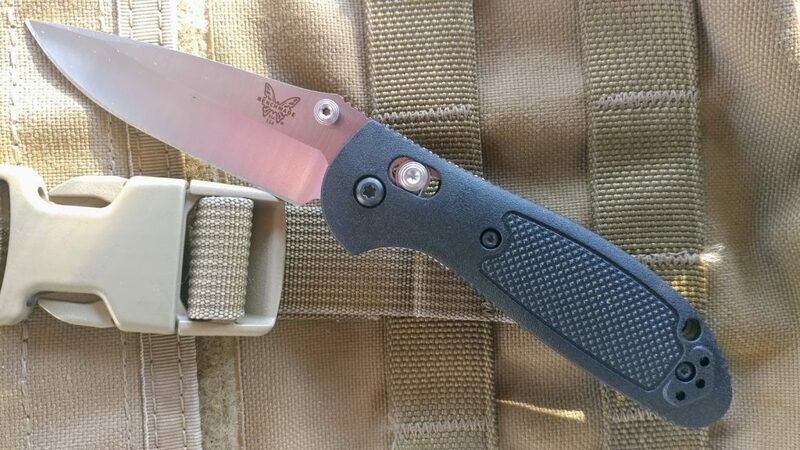 benchmade is a crock, way over priced!